Pastor Shawn Madrid became the Senior Pastor of Faith Bible Church in September of 2013 after serving as FBC’s Associate Pastor for 9 months. He came to know the Lord as his Savior at the age of four and was called to preach after his senior year in Bible college. Pastor Madrid studied at Maranatha Baptist Bible College and graduated with a Bachelor of Science degree in 2000. Prior to coming to Faith Bible Church, he served as the Pastor of Anthony Baptist Church in Jersey Shore, PA for four years. 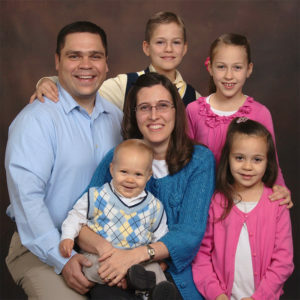 Pastor Madrid and his wife Melissa have five children: Ezekiel, Shalissa, Symphony, Malachi, and Nehemiah.